The top four actions for marketers to generate loyalty are ensuring quality of product or service; making customers feel important when purchasing; fostering consumer belief in brand; and offering value for money. That's according to new research highlighting the marketer’s perspective on customer loyalty, entitled ‘For love or money 2017: Customer Loyalty - the marketers’ point of view’. The study identifies how marketers view customer loyalty to their brands/business. It is a follow up to the consumer study ‘for love or money 2017’ where consumers identified their view on what loyalty is to brands/businesses..
“Identifying where marketers and consumers are aligned on what loyalty is, provides a base from which to action strategies to motivate those outcomes,” according to report co-author and CEO of The Point Loyalty Adam Posner. Meanwhile, for consumers, the top four actions for brands and businesses to generate loyalty are providing value for money; quality of product/service and offering a loyalty/rewards program; convenience when purchasing; and consistency when purchasing. The study was conducted by The Point of Loyalty and First Point Research and Consulting in the last quarter of 2017 through an online survey provided to marketers of mid-senior levels across industry types with over 90 marketers completing the survey. It benchmarks metrics and trends on customer and consumer loyalty from the marketers’ point of view. Posner said the primary focus of the study was to understand what loyalty is (beyond enrolling in a loyalty program) from the marketer's perspective versus the consumer’s perspective and to identify the gap or alignment. In the for love or money 2017 consumer study, 11 dimensions of loyalty were studied. These were then put to marketers, with some key differences coming through. Marketers are more likely to think of loyalty in terms of consumer recommendations, with purchase behaviours – frequency and volume of purchases made, also ranking highly for marketers. Forgiving mistakes is also a highly ranked dimension of loyalty, by marketers, the report noted. Marketers are also inclined to think that the quality of the product or service is the most important action that leads to loyalty (or more loyalty) to the brand or business. This is followed by making customers feel important. Clarity of purpose is also a key action leading to loyalty, while, 'value for money' ranks fourth. The report also looked into customer loyalty versus new customer acquisition. While the acquisition of new customers is a higher priority for marketers (27 per cent) than customer loyalty (6 per cent), looking ahead over next 12-18 months (2018 onwards), customer loyalty takes the lead as a priority (76 per cent) ahead of new customer acquisition. Other findings in the report reveal marketers believe the greatest opportunity for growth of their organisation over the next 12-18 months will come from CRM and marketing automation. Product innovation focus and lifecycle marketing (personalised communications) are equal second. Data-driven customer personalisation, multi-channel loyalty or rewards programs and seamless omni-channel customer experience, are equal third. The report also revealed marketers are using a wide variety of metrics to measure the success of their customer loyalty strategies, with 17 different measures provided. The most common metrics are repeat purchase rate, NPS, customer retention rate and customer satisfaction results. The biggest barriers to ongoing development and implementation of loyalty strategies involved limited budgets. Almost half of the marketers surveyed view a limited budget as the most significant barrier to the ongoing development and execution of loyalty strategies within their organisation. Poor or no technology is also a significant inhibitor to success. 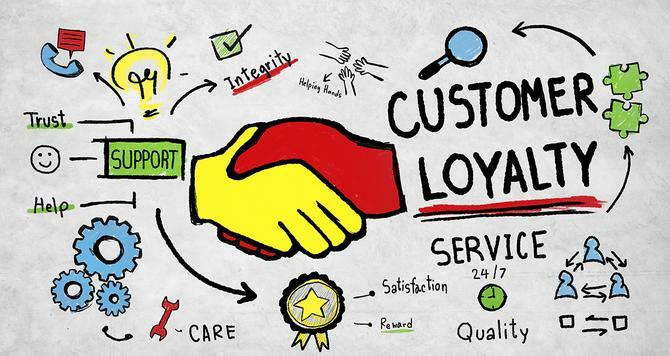 Overall, marketers were shown to be united in their view on the relevance of loyalty, and 95 per cent of respondents said they believe loyalty is relevant within today’s world, including almost 60 per cent who see loyalty as ‘extremely relevant’.